Vedremo se l’approccio avrà un riscontro positivo da parte degli utenti. Ci torneremo dopo Computex 2017 proprio nei giorni in cui arriverà sul mercato italiano anche l’altra novità di Microsoft: Surface Laptop. Si prevede una buona estate per la categoria. Which brings us to an interesting argument against buying it. Given the closeness to its predecessor, it might be more cost effective to buy last year’s model. There simply isn’t enough new with this model to justify the $1000-$3000 price tag. The Surface Studio mode is certainly an advantage, but will appeal purely to artists. Of course, the lack of a Surface Pen with this model might equally discourage the digital artists among you. Vecchio ma buono. Senza USB Type-C o Thunderbolt 3, il modello 2017 del Microsoft Surface Pro sembra abbastanza dimesso. L'assenza della ventola già vista sull'Acer Alpha 12, fa si che si noti un evidente throttling. L'unico beneficio reale è la decente autonomia? Surface Pro 2017 azzarda l'installazione di una GPU Iris Plus su un Kaby Lake-U, ma il modello da prendere è quello con processore Core i5. Fanless, più leggero e più a suo agio con la gestione delle temperature; in una parola, più equilibrato. La variante con CPU i7 ha potenza grafica quasi doppia, migliore di molti Ultrabook e vicina a quella di una GPU dedicata di generazione passata; ma va in affanno e stenta, quando messa sotto stress. Yes, if you are a Windows person and limit yourself to the world of Excel and PowerPoint at work and in your personal life. No, if this is going to be your only large-screen computing device and you have nothing else on Windows. But for Windows fans and those who are comfortable switching operating systems, this is a great device to own given its performance and versatility. If Microsoft hadn't sneakily hiked the cost of getting a complete experience, the 2017 Surface Pro would be the best Windows 2-in-1 for every user. Luckily, great battery life and a few other upgrades still make it a solid Windows 2-in-1 for shoppers with bigger budgets. Even with the pricing premium, the Surface Pro is a compelling option. It is especially ideal for creative professionals and college students who could put the optional Surface Pen and Dial to use, whether it is for taking handwritten notes in class or creating artwork. 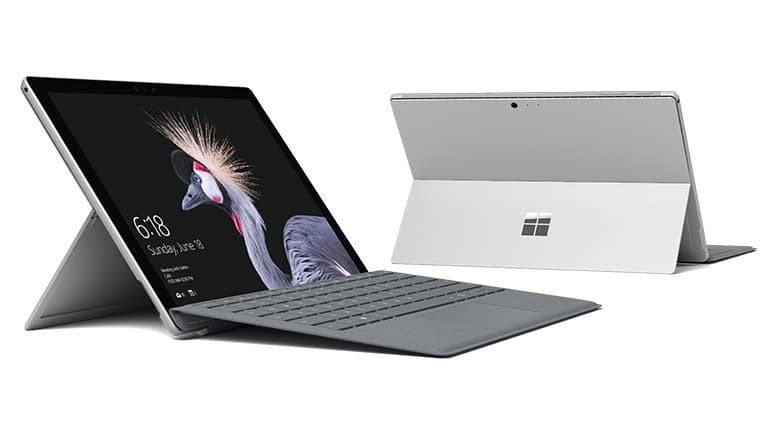 Of course, even outside of those demographics, anyone looking for a hybrid, detachable laptop might want to give the Microsoft Surface Pro serious consideration as well. 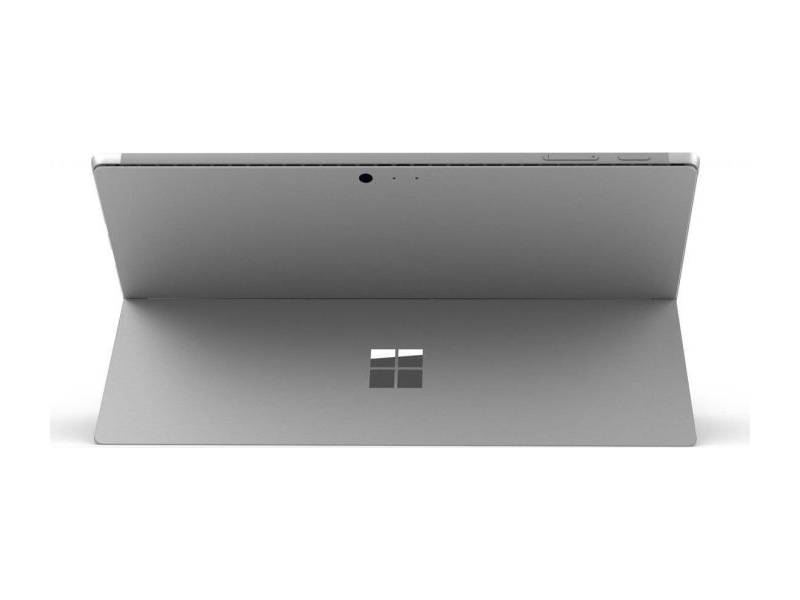 Surface Pro 4 owners might probably want to hold back on upgrading to the new Surface Pro, but if you are using a Surface Pro 3 or if you just looking for a really portable Windows notebook, the Surface Pro is highly recommended. Money aside, the Surface Pro has matured into an excellent, all-round portable. However, when taking into account the price it's arguably highly priced for what it offers. 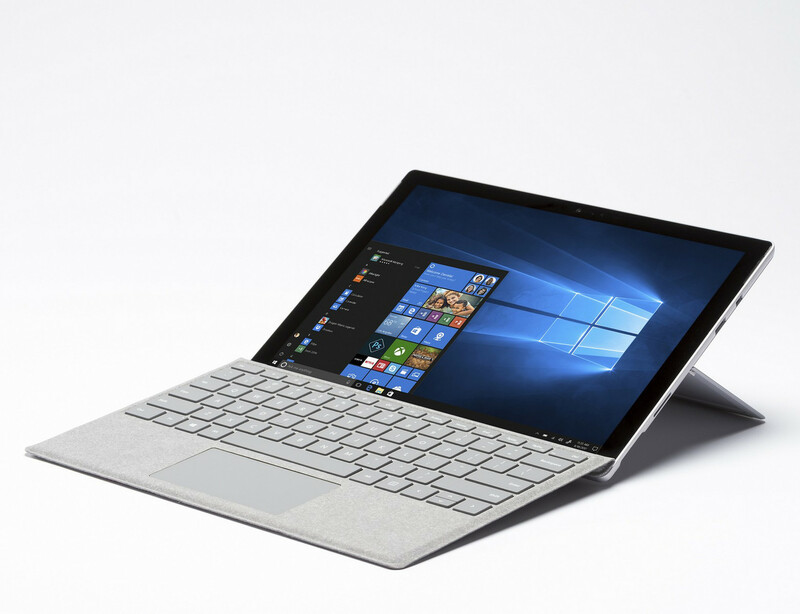 In the end, if you're looking for a lightweight, powerful and mobile working device, and want to steer clear of Apple's devices, there really is no better alternative to the new Surface Pro. As priced, the Surface Pro remains a halo product to showcase the versatility of the Windows 10 operating system. 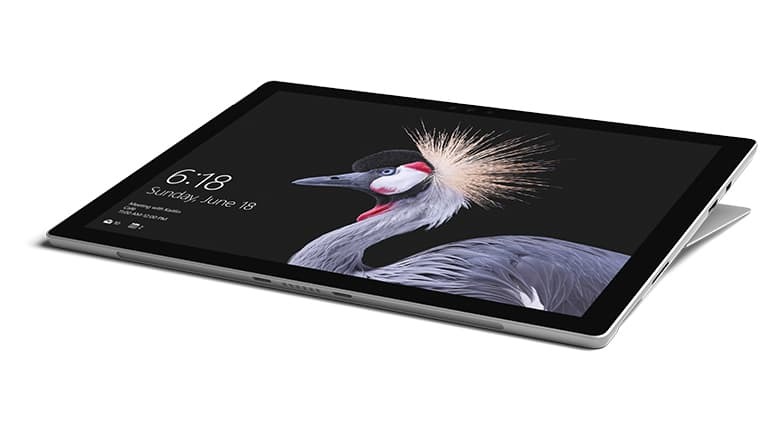 If you want the best showcase tablet from Microsoft’s engineering efforts, the Surface Pro retains its position as an aspirational piece of hardware targeted at creatives. But for its performance, you can find cheaper alternatives that’s worthy your attention. As it stands, the Surface Pro is a fantastic machine, but it's not enough of an improvement for Surface Pro 4 owners to upgrade. Perhaps Microsoft was more focused on the Surface Laptop this year, but hopefully we'll see bigger changes with the next Surface Pro. The New Surface Pro certainly is a natural progression from the Surface Pro 4, rather than a massive leap forward. The seventh-gen Kaby Lake processors and extra battery life are well worthwhile, but to be expected. The additional flexibility of the kickstand is fairly slight, albeit not unwelcome. Hopefully the new Type Covers and Surface Pen will similarly offer some improvements. There's another thing about predictability that I haven't mentioned: it means something is ready for the mainstream, that it's no longer a fringe or niche device for only those willing to deal with its eccentricities. 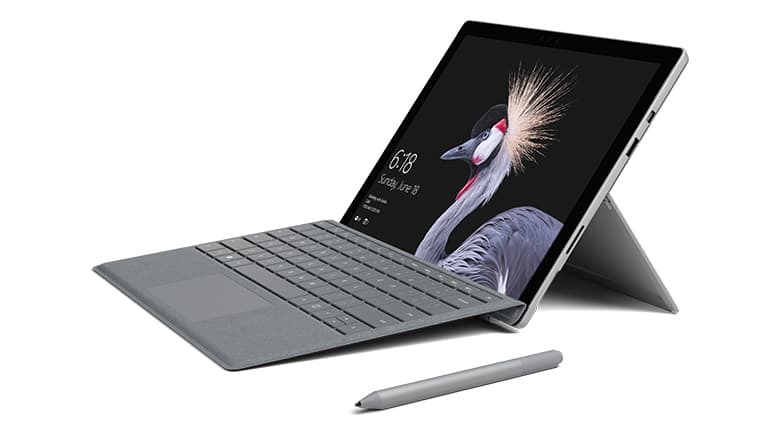 Between its battery life improvements and the enhancements to the pen experience that have been added to Windows 10, the new Surface Pro is ready for the mainstream. Vicino, ma non abbastanza. Siamo lieti di apprendere che la scheda grafica Iris è viva e vegeta nonostante il throttling del SoC. Il Microsoft Surface Pro (2017) non può essere tuttavia considerato un "gamer", né un vero laptop replacement: proprio come la versione i5, c'è un evidente throttling. In occasione della nostra analisi di Surface Pro 4, avvenuta al debutto sul mercato nell'autunno 2015, avevamo indicato quella famiglia di prodotti come il punto di riferimento nel panorama dei dispositivi 2-in-1 e in particolare di quelli detachable. 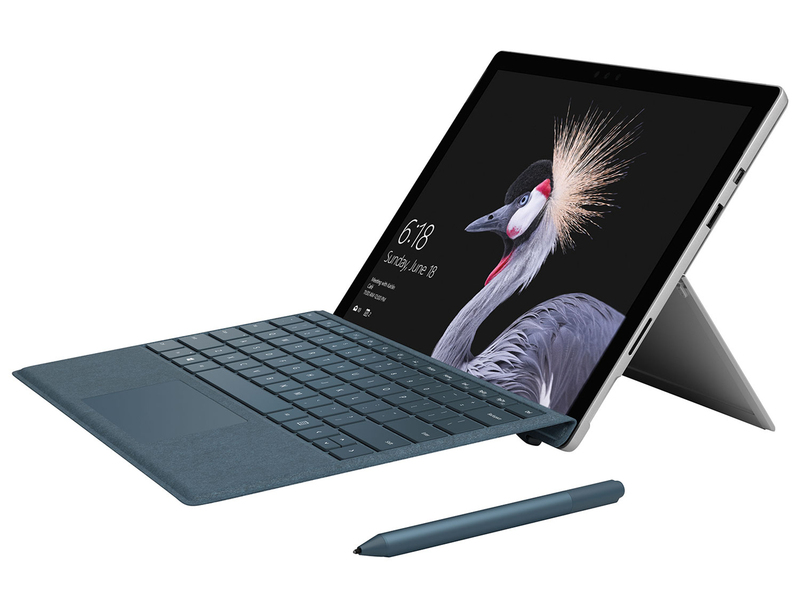 Con la famiglia Surface Pro Microsoft ha portato avanti una evoluzione tecnologica frutto di cambiamenti più sostanziali nel passaggio alla terza generazione, con un successivo affinamento che ha portato sino alla proposta attuale. 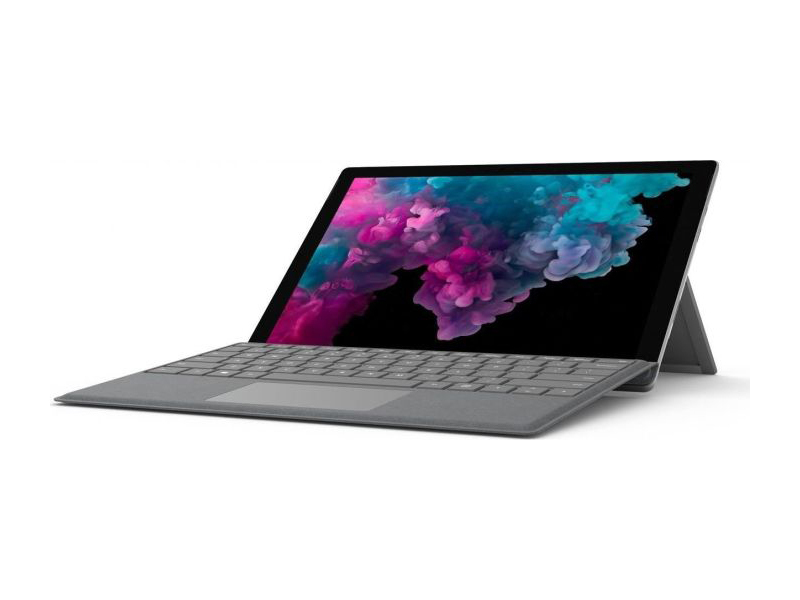 Consigliamo quindi Surface Pro? Sicuramente si, per coloro che sono indirizzati verso un 2-in-1 di tipo detachable e vogliono acquistare quella che è la miglior soluzione disponibile al momento. Microsoft Surface Pro 2017 è probabilmente il miglior tablet Windows in commercio. È anche il più caro, al punto che le versioni più potenti sono quasi fuori mercato, ed anche quelle più basilari richiedono una certa dose di affetto per la tipologia di prodotto. Emblematico il fatto che non sia stata inserita nemmeno una porta Type-C, segno ulteriore di un prodotto che fa bene ciò che fa, ma va anche preso per come è.
Microsoft's latest flagship is the peak of the company's research and development efforts. It may be expensive, but for those that can afford it, it's the best Windows hybrid around. The Pro 2017 has evolved from the genesis of hybrid notebooks. It would have been hard to improve on the Pro 4 and Microsoft sensibly kept with the winning formula and tweaked it. The Surface Book can adapt to almost any workflow, thanks to its versatile design and powerful performance. And with its dedicated GPU in tow, the machine is powerful enough to handle even the most demanding tasks, offering the kind of graphical punch that even Apple's 13-inch MacBook Pro can't match. The 2017 Surface Pro may appear to be an incremental upgrade over the Surface Pro 4, yet there's more to it than first meets the eye. Ultimately, while the Microsoft Surface Pro is a welcome hybrid device which may no doubt feel like a step up for many people looking to be more creative, I find that I can’t really recommend it for professional artists drawing and painting by hand. We expect, and need to have full control over the marks we make, and don’t have time to wait to see whether we can work with what we’ve actually drawn. This means it’s still the best Windows “tablet” you can buy, and if you don’t mind the form factor, the best ultraportable PC. 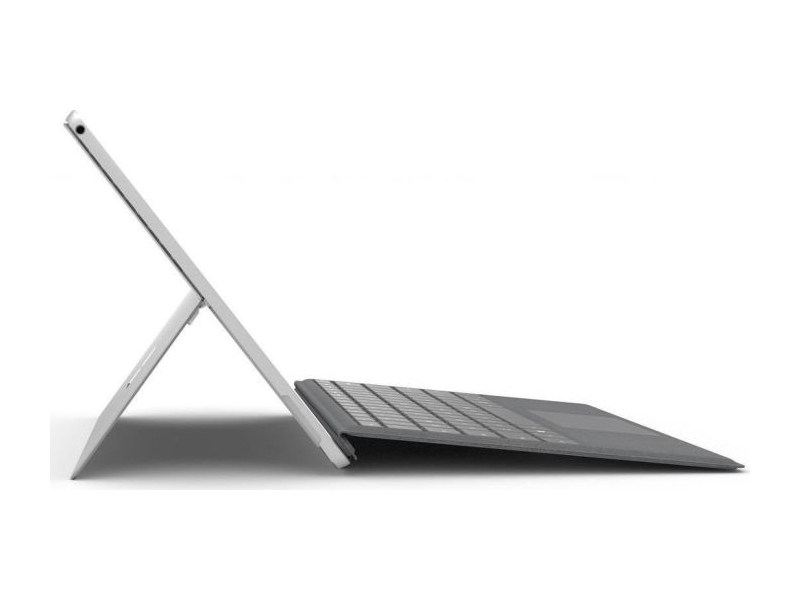 The new Surface Pro is a superb 2-in-1. It’s beautifully built and performs well. The screen is excellent and even the speakers sound good. However, it’s very expensive, especially when you add the cost of the Type Cover and – if you need one – the Surface Pen. Few will opt for the base model, and you’ll pay a heck of a lot more for a Core i7. Ultimately, while a fantastic device, it’s hard to recommend the Surface Pro unless money is no object. The iterative nature of the 2017 Surface Pro doesn't detract from the fact that this is an excellent 2-in-1 and a worthy update on 2015's Surface Pro 4. The machine itself certainly feels like five-star material, with some of the most refined design work in its class, both aesthetically and from an engineering standpoint. We’re surprised Microsoft has refrained from calling this the Surface Pro 5, as it’s the biggest improvement on a Surface we’ve ever seen. Despite losing the included Surface Pen, the Surface Pro’s huge improvements help it retain our Recommended award. For current Surface Pro 4 owners, this upgrade isn't a slam dunk, especially if your current device is only a year old. The new Pen features might be a boon for artists, but for basic productivity work, there's no harm in waiting. The new Surface Pro shows how far Microsoft has come with the series. It's a really well made and great performing Windows device. Even in the Core i7 form of this review model it's approaching silent in operation, thanks to seventh-generation Intel Kaby Lake processors, which is fantastic. The Surface Pro thoughtfully improves on a winning formula. It’s beautifully built, a joy to use, and will make 99% of owners unspeakably happy. I just wish that Microsoft would be a little more generous. At the very least, they could throw the keyboard or pen in with the price. Especially when you’re asking the wrong side of £2100. For users that’ve never worked with a Surface device of any sort – I highly recommend taking one for a whirl at a local computer store. I do not recommend buying a Surface Tablet without first seeing how it feels to use in person. It’s a unique device, to be sure, and just like any device that costs hundreds of dollars and presents a new use case scenario, this warrants a trip to the Microsoft Store. Of all the surprises that the Surface Pro (2017) offered, one of the most interesting was in battery life. Given that the dimensions of the new Surface Pro left little, if any, room for additional battery cells, it still surprised me that its 45Whr battery ran down over the course of eight hours, substantially more than the Surface Pro 4. However, I think Microsoft is still playing it a bit too safe in a few areas. While improved, the Surface Pro's battery life still lags behind those of other ultraportable laptops, and the lack of a USB-C or Thunderbolt 3 port are strange omissions for a premium flagship device. 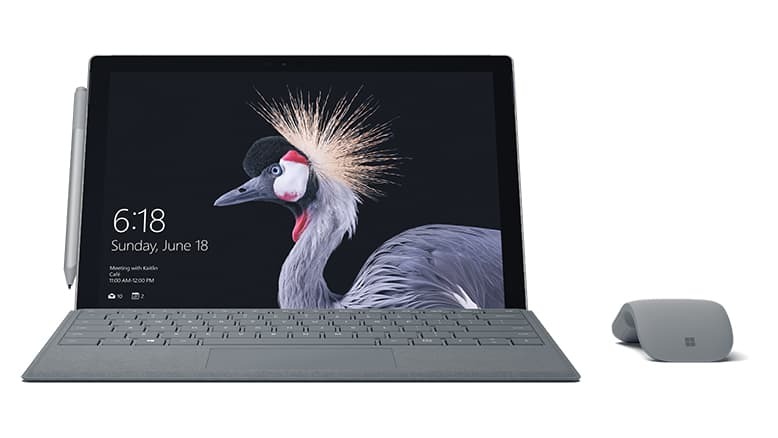 And after three years in which the Surface Pro has had essentially the same aesthetics, I find myself wanting a bit more excitement out of this machine's design. But if you want the best detachable out there, the Surface Pro is still the one to get. 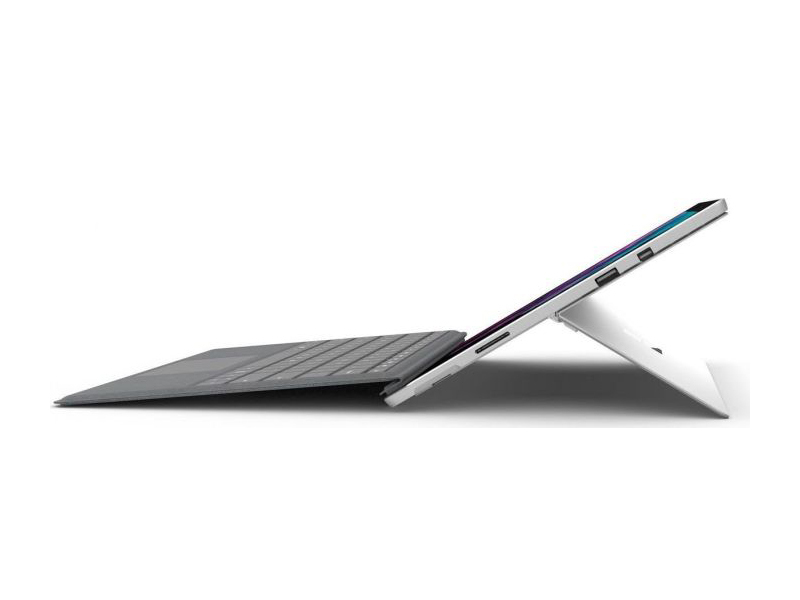 The Surface Pro lineup has always been one of the most powerful tablet class devices around. Microsoft is no longer marketing it as a tablet that can replace your laptop anymore though, and they’ve acknowledged that most of the customers who buy and use the Surface Pro are looking for an ultraportable laptop. That makes a lot of sense, since the Surface Pro weighs only 786 grams / 1.73 lbs for the Core i5 and i7 models, and the Signature Type Cover only adds another 310 grams / 0.68 lbs. As a complete package, it’s only 1.096 Kg / 2.41 lbs. It’s not the lightest device around, but it’s still very light and easy transport. Even in 2017, there are just far too few compelling apps that take advantage of the Surface Pro's versatility. It used to be that you couldn't do much about that if you wanted a Surface device. However, in the past two years, the Surface family has greatly expanded. Unless you really need and want that tablet functionality, I think the Surface Laptop is a much better fit for most people. This time around, the Surface team improved the device’s display to work better with the new Surface Pen stylus. According to Microsoft, the Pen is more sensitive than its predecessor and suffers from less latency. The company says it cut down the response time for the Pen to 21 milliseconds. Microsoft also added a tilt feature to the Pen so you can create wide strokes with the stylus when you tilt it. 70% Microsoft Surface Pro 2017 review: still the best Windows laptop/tablet hybrid, but who is it for? Personally, I would always recommend the Surface Laptop (once you've used your free upgrade to Windows Pro) over this, to 95% of potential buyers. 85% [ TEST ] Microsoft Surface Pro 2017 : toujours plus loin, plus haut et plus fort ! 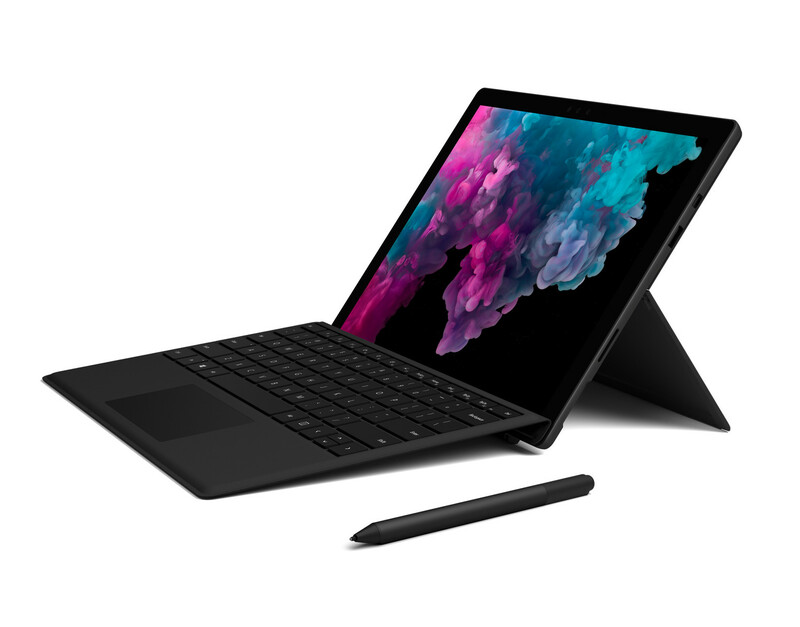 If you are on a strict budget, but want to invest in a Surface Pro, then you can get your hands on the Core m3 processor sporting variant which is priced at Rs 64,999 or a Core i5 processor with 4 GB RAM and 128 GB storage variant priced at Rs 79,999. Of course, both of these variants will have lower performance numbers. If you want to go all out on the Surface Pro, then the Core i7 variant with 16 GB RAM and 512 GB SSD is priced at Rs 1,82,999. 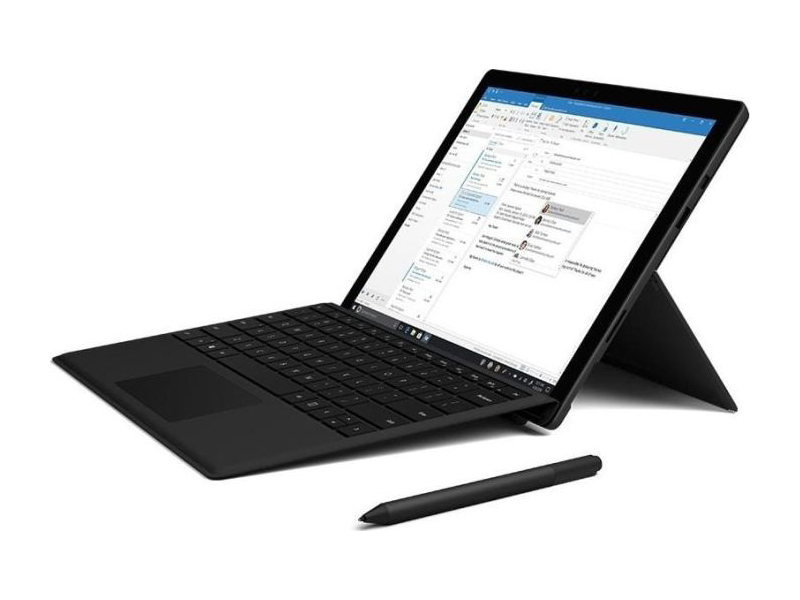 All things considered, busy professionals and workaholics will appreciate the sheer convenience of a consistently connected Surface Pro, making the $150 price premium and additional costs worth it, provided they have a the money to spare. 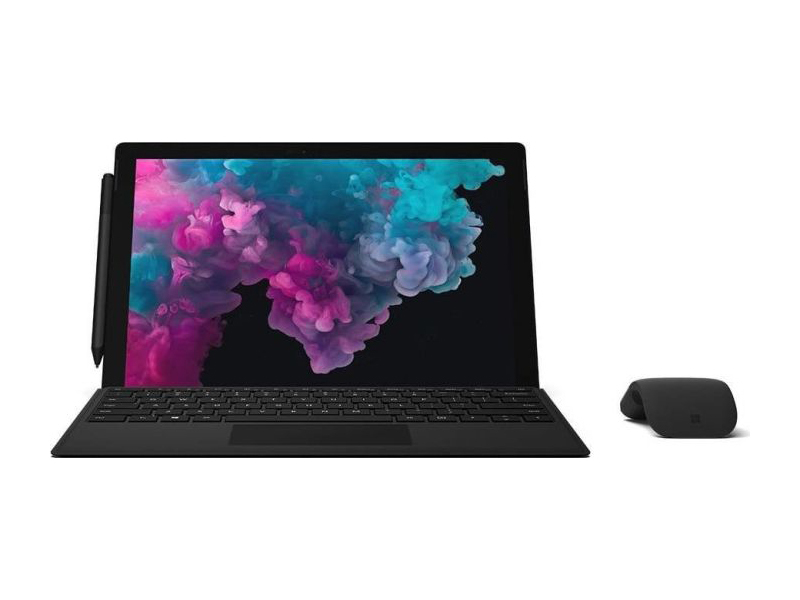 If you're the typical small business user, the stock Surface Pro will do the trick, especially if you can use your phone as a hot spot without incurring additional charges. The white elephant in the room, at least as far as the Surface Pro 2017 is concerned, is the advent of Intel’s Coffee Lake CPU family and the expected launch of new desktop and mobile SKUs in the very near future. Microsoft has historically refreshed the Surface Pro family every 12-20 months, which means there could be a new Surface Pro launching later this year. With Coffee Lake expected to succeed Kaby Lake in mobile devices, it’s hard to see how MS could avoid the need for new SKUs, unless it intends to keep selling 2C/4T products against 4C/4T or 4C/8T devices from its competitors. Adding LTE to the consumer version of the Surface Pro is a convenient but expensive alternative to tethering from a smartphone. Microsoft ha aggiornato la serie Surface Pro con i processori quad-core Kaby Lake Refresh, ma ci chiediamo come se la cavano questi chip con un tablet spesso 8.5 mm? Questi processori, più potenti, impatteranno sulla durata della batteria? Microsoft avrà aggiunto più porte? Scoprite questo e molto altro nella nostra dettagliata recensione. Il modello i5 senza ventola è più lento del modello i7 e la durata della batteria non è molto migliore. In cambio, è completamente silenzioso e significativamente più economico. È questo il tablet tradizionale per tutti? 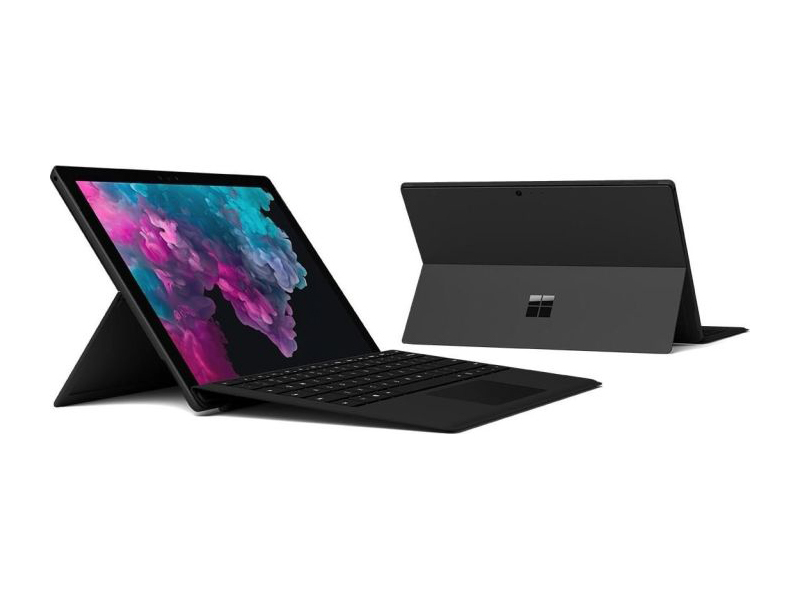 Il Surface Pro 6 nella declinazione testata non costa certamente poco. Sono 1.399 euro a cui vanno sommati i 149,99 euro della Type Cover. Tuttavia, il prezzo rispecchia l’alta qualità del prodotto e soprattutto la garanzia che Microsoft supporterà a lungo il prodotto con frequenti aggiornamenti di sistema. There’s nothing technically wrong with the Surface Pro 6, and we doubt that anyone would be disappointed if they bought one. However, it’s crippled by the fact that it doesn’t particularly improve on its predecessor. 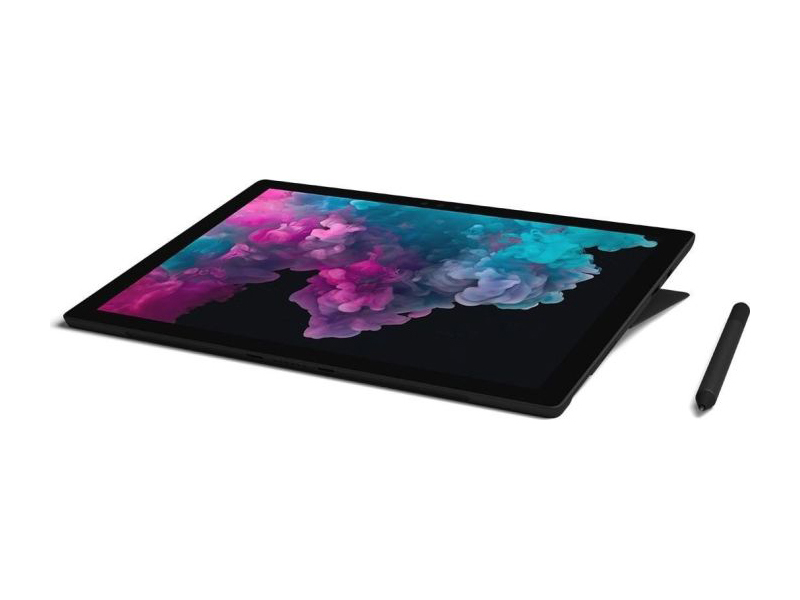 Microsoft’s Surface lineup has always been about a premium device, and to showcase their software, and the Surface Pro 6 delivers on that front. Despite the somewhat questionable update cadence, and even the lack of USB-C, the changes that are here are all very welcome. No one is going to complain about more color options, and the improvements to performance and especially battery life are a boon to all Surface Pro users. These changes bring it to a level that Surface Pro has never been to before. Microsoft is being safe with the Surface Pro, but it was already the class leader, so it’s hard to fault them on that. The Surface Pro 6 is a much bigger update than just a new color. SoC ULV Kaby-Lake (System on a Chip) per portatili sottili ed Ultrabooks. Integra due CPU cores con clock da 2.5-4 GHz e una GPU Iris Plus Graphics 640 con clock da 300 - 1050 MHz e 64 MB di eDRAM. E' realizzato in 14nm. I tablets più grandi ed i convertibili pesano di più. 82.73%: Il punteggio deve essere considerato medio, in quanto il numero di portatili che hanno ottenuto un punteggio migliore è uguale a quello dei portatili che hanno avuto un punteggio peggiore.>> Ulteriori informazioni le potete trovare nella nostra Guida all'acquisto di un portatile.